Our classes have noticed how the clothes they are wearing have changed (t-shirts, shorts and flip-flops in the summer; to pants and long sleeved shirts in the fall; to bringing warmer coats, hats and needing gloves with the cold weather burst we had this week). The children have observed the leaves on the ground, wet puddles everywhere and how they can make their runners squeak on the hallway floors after playing outside on the wet soft surface of the playground. They are collecting huge piles of leaves in beautiful reds and gold from the playground to save to play with when we return outside later in the day. 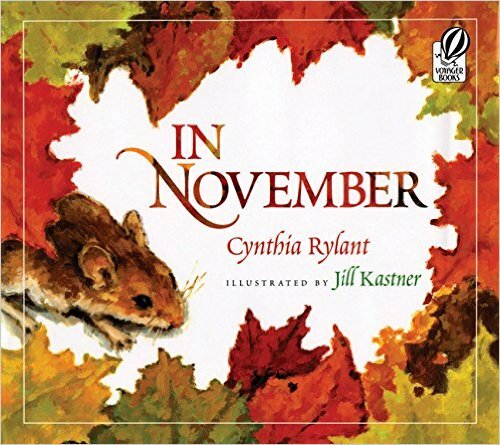 We’ve talked a lot about migration and this week, introduced the concept of hibernation. 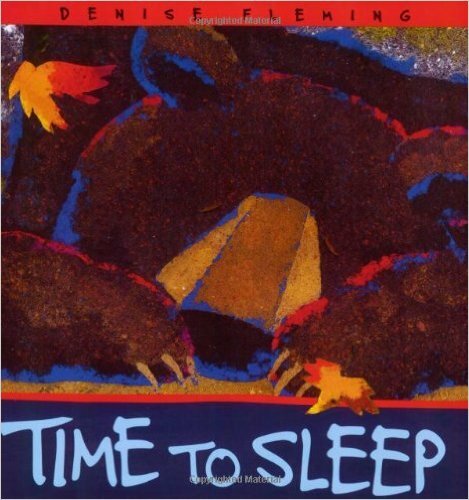 We’re integrating our inquiry of seasonal changes with a mini literary unit on “Bears in Literature,” so Time to Sleep was a perfect segue. Time to Sleep tells the delightful story of Bear and her friends, each one noticing the changes in their environment, and how they are clues to go to sleep, or hibernate. The children were able to identify the patterns in the story (excellent application of their knowledge from creating, copying and extending patterns in Math) and then re-create it in their individual work. 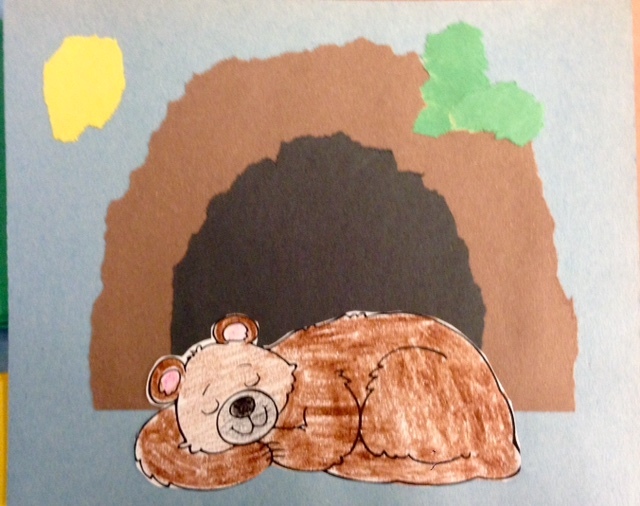 We completed our study on Time to Sleep by making these cutie hibernating bears with our Big Buddies. Library Book Exchange on Tuesday. Please have your child return their library book on Mondays as part of developing good habits to complete assignments early. We’ve had quite a number of children forget their book on Tuesday and it’s so disappointing for them. By returning library books earlier, it gives everybody one day’s grace to bring it in on Tuesday. Sharing and Special Helper. The children are delighted to have their Special Helper and Sharing turn each month. It’s important to note this is a Special Helper and Sharing turn. Most children are able to perform the Special Helper responsibilities independently, or with minimal support. But at 5 years old, it’s difficult for them to organise their Sharing on their own. Please check the Sharing and Special Heper calendar and make note of when your child has his or her turn, help them to gather their Sharing items and have a little practise at home. Feel free to send some information on a piece of paper so we can prompt your child when he or she is presenting. Christmas Cracker Project. Our Christmas cracker project is fast approaching. We are collecting paper free toilet paper rolls, new Christmas wrap and ribbon for this project. Please send in these supplies if you have some at home this week. We will be making the crackers with our Big Buddies the week of November 28-December 2.